Live sustainably at the beach! 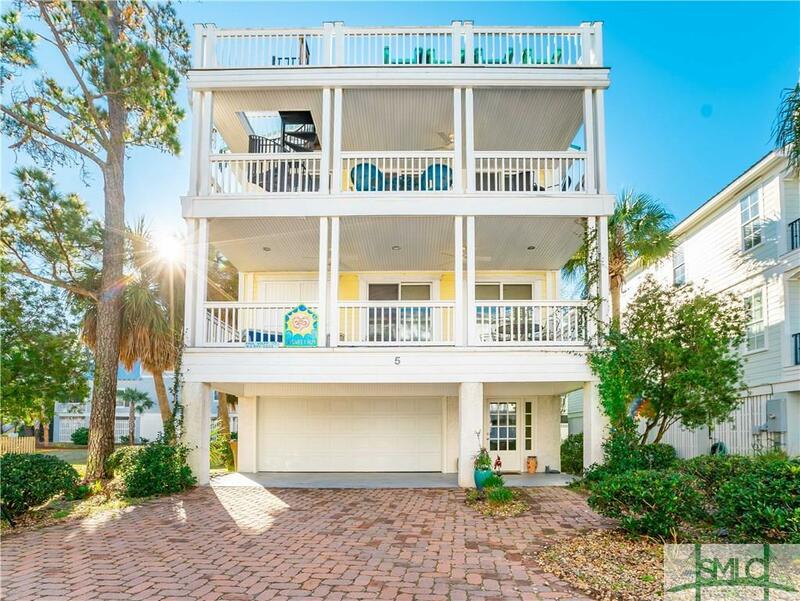 This 3-story home located in the Sanctuary on Tybee Island is only STEPS FROM THE BEACH! 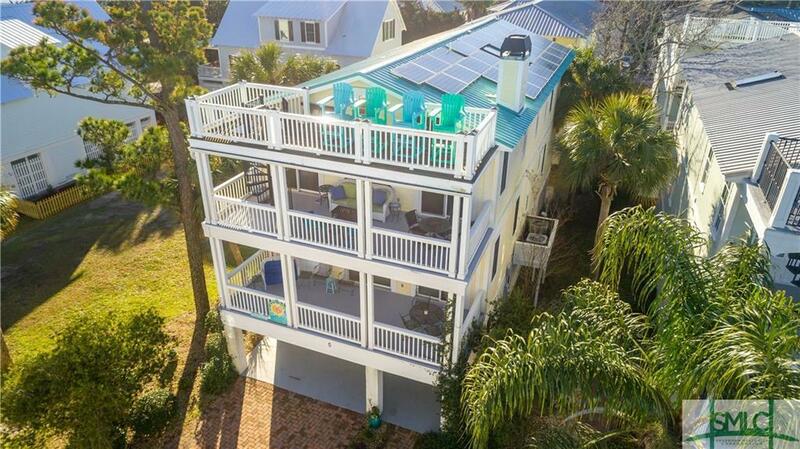 The 8.5 kilowatt solar system resides rooftop behind the Captains Landing, providing huge electric savings. An elevator can take you and your supplies to the all home levels. Beautiful hardwood floors adorn the four-bedroom suites with private baths, and large living/dining area with a wood burning fireplace. The kitchen completes the open floor concept with dual breakfast bars, new SS appliances and two pantries. 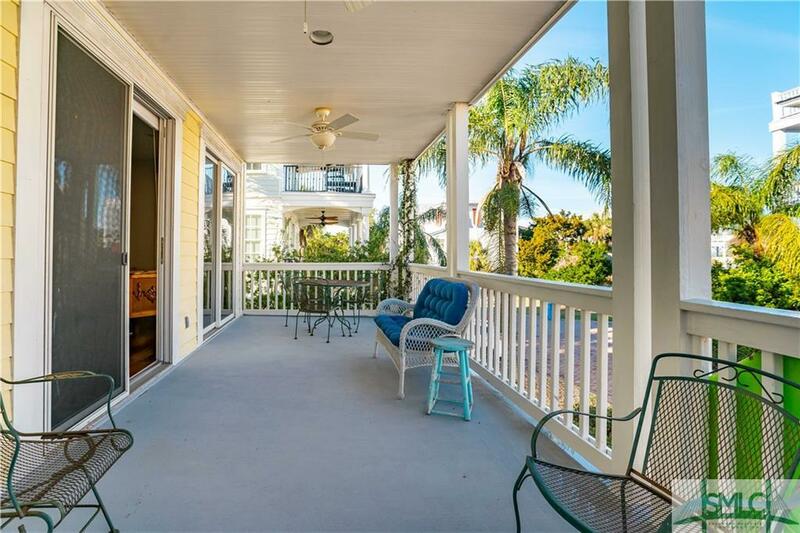 The crows nest steps take you to the rooftop deck that has sunrise and sunset views, as well as the Savannah River. The master bedroom features a private covered porch, two walk-in closets and bathroom with vintage clawfoot tub and tile shower. The enclosed ground level space divides into a two-car garage and a large storage and workshop area. 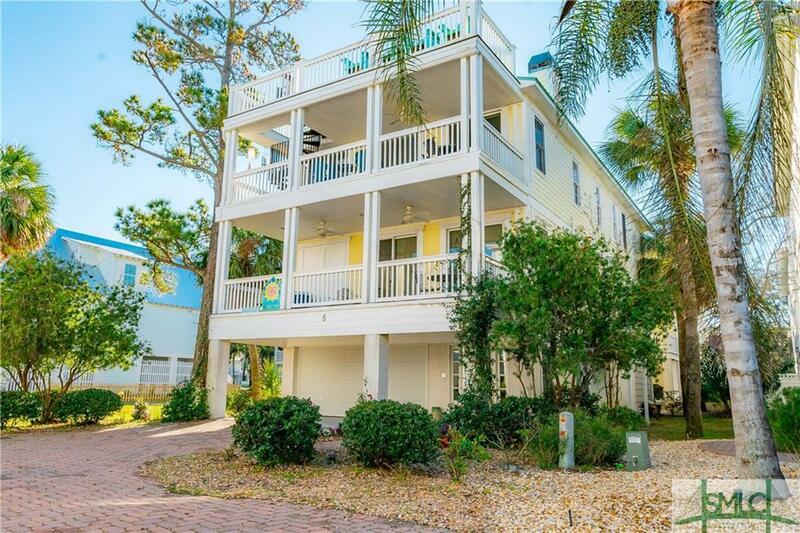 The home is rented as a STVR for part of the year and many of the furnishings are available for purchase.